The Huracán Performante has reworked the notion of a super sports car. Rybrook Lamborghini Bristol will be pleased to look after you with the highest levels of customer service from your initial enquiry through to vehicle delivery. We will also be pleased to maintain your vehicle throughout your entire ownership with our dedicated aftersales team. The Huracán Performante has received brilliant reviews since its launch in 2017, with Autocar describing the car as “a fusion of focus and theatre”. 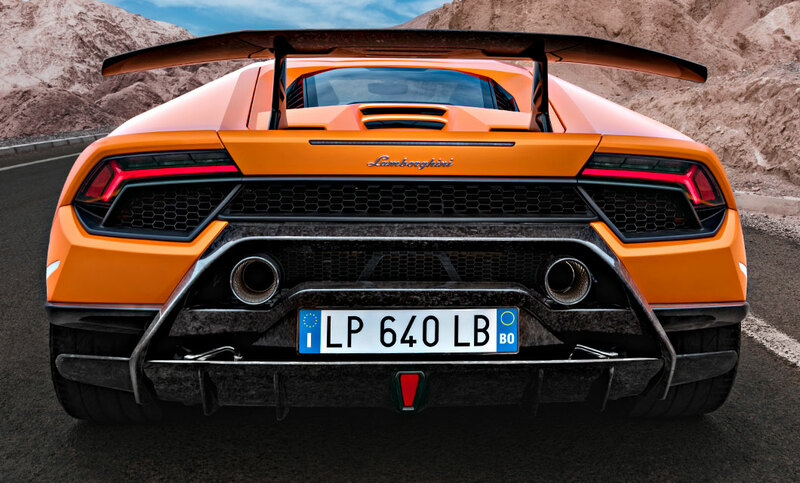 Performance is expressed in all of the new features of the Huracan Performante. 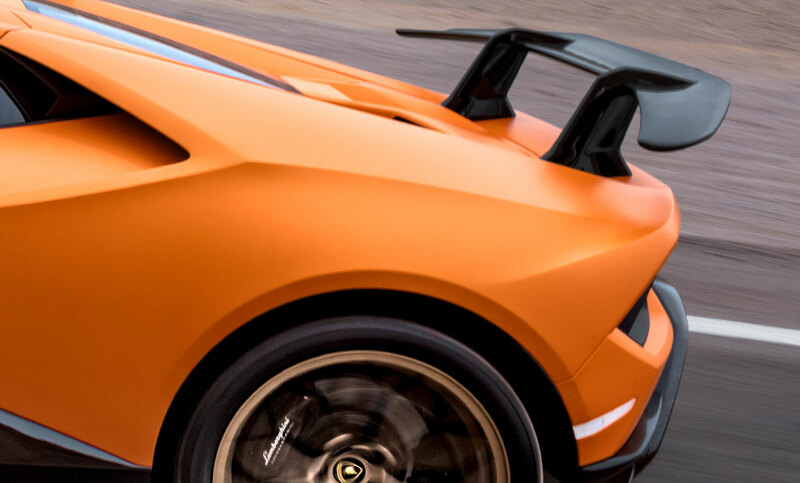 The front and rear spoilers, made from Lamborghini’s own patented Forged Composites®, not only add to the aggressive look of the car but enable aerodynamics to be actively exploited to achieve maximum performance increasing and decreasing downforce as required. Move through to the cabin and the character of the Huracán Performante is reflected on the interior with the use of high quality, yet extremely light, materials. Alcantara upholstery, carbon fibre seats and the use of Forged Composites® throughout only reduce weight further and ensure increased performance. The Huracán Performante captures emotion from the first glance and was designed with one thing in mind: to be the fastest. Immerse yourself into the world of Performante, take a seat inside, start the engine and drive to understand that it is different from all other Huracán models. The car has been completely updated, with improvements to the naturally aspirated V10, updates of the steering and suspension, the use of ultra-lightweight materials throughout, and the introduction of ALA (Aerodinamica Lamborghini Attiva), an innovative active aerodynamic system to improve levels of performance and the driving experience. Lamborghini have reworked the notion of the super sports car with the all new Huracán Performante. It has everything to remind you of its sole purpose, to be the fastest. Featuring an even more powerful 640bhp V10 engine, extensive use of Forged Composites for weight reduction, the LDF 7-speed dual-clutch transmission, the updated HMI instrument panel graphics and the new ALA active aerodynamic system that controls air and direct in its favour to increase downforce. It has ruled the circuit, breaking the Nürburgring record on its unveiling, and is ready to rule your road. Below are the technical specifications for the New Huracan Performante. Interested in a New Huracan Performante?